*I love presents ! the other day I received my BIG BOX of Tattered Angels goodies and It was FULL of nice stuff I can not believe all the things they sent me !!! and of course I can't wait to start playing with all the products. 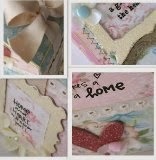 But for today I have these nice creations that I made with 2 of my favorite companies, first this card Made with Marks Paper Co. papers... OMG I just love them they are so easy to work with, here I use Old Fashioned Courtship and English Garden. Embellies from Melissa Frances. *Me encantan los regalos ! el otro dia llego una ENORME CAJA de Tattered Angels llena de productos bellos! no puedo creer todo lo que me enviaron !!! y por supuesto ya no puedo esperar para ponerme a jugar con todos los productos. 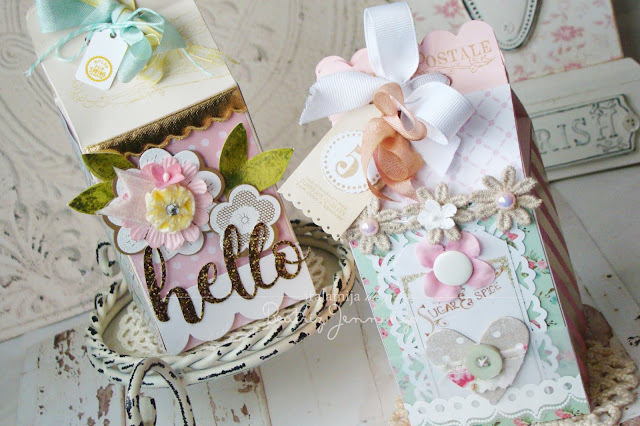 Mientras tanto hoy tengo creaciones hechas con 2 de mis compañias favoritas, para la primer tarjeta use papeles de Marks Paper Co. ... Simplemente me encantan son tan faciles de trabajar, aqui use: Old Fashioned Courtship e English Garden. Los adornos son de Melissa Frances. And for this Halloween card I use August Collection and English Garden as well. *And Next a super cute Halloween card made with the all new GCD Artsy Urban I JUST LOVE these papers and embellishments, love all the options you have with this new collection! BEAUTIFUL, inspiring projects as always, TFS!! I am SO jealous about the tattered angels stuff!! ENJOY!! Isn't it inspiring to receive a whole box of goodies? Your mind just goes wild...lovely creations as always! Just an idea, you can find e-card at Happy Halloween 2009 for halloween. This site allows for anyone to upload their own picture so they can send it out to friends and family with a message as a greeting on Halloween. Holaaaa Bety!!! què padrs tarjetas has subido en ts ùltimos post!! Todas me encantan!!!!! OMGoodness........THE BEAUTY OF IT ALL!!! You so inspire me!! Lovin' this style. Great work!